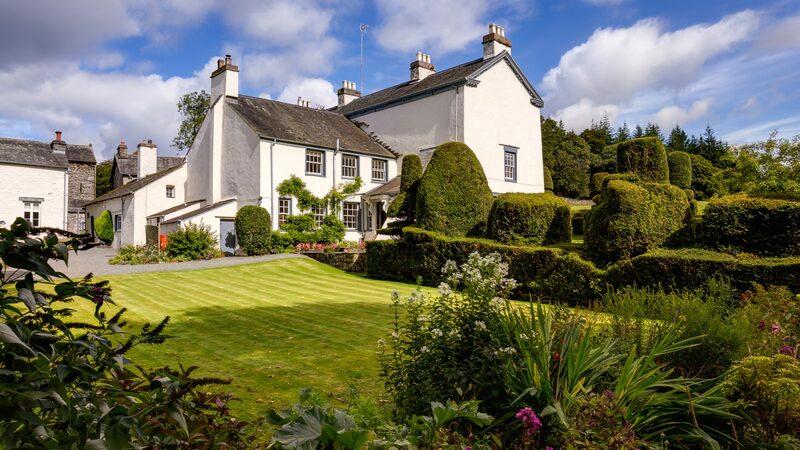 Lakeland’s Whitelake Hall seems to need a vintage British roadster on its winding drive amid the endless acres of deer-rich grandeur on the banks of Windermere. 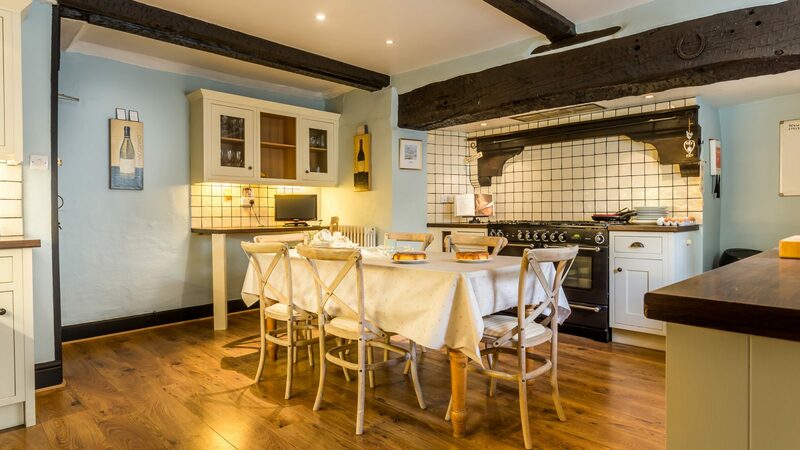 Book a catered dinner, catch a movie with family and friends, top up the open fires. Pop to the pub then burrow down to the hoot of the owls. 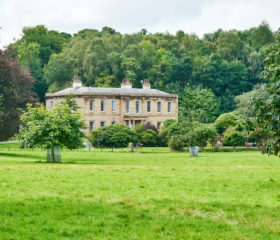 Whitelake Hall seems to need a British roadster from the classic age of motoring sitting on its winding drive. A red MG or E-Type would do the trick, something to accelerate the wind through the hair as the high fells and still waters of Windermere fly by. Maybe we can arrange it. 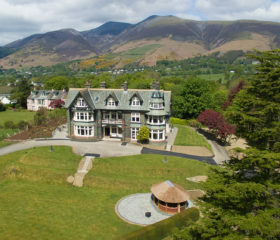 What’s already in place is four acres of lawn and woodland as part of a 5000-acre estate in the grand Lakeland style. 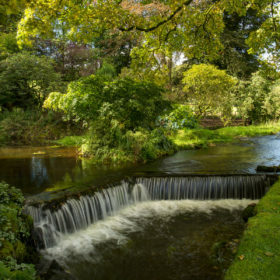 This is a place to picnic by the tarn-fed pond by day before exploring the babbling brook, topiary trees and wild woodland. Then at dusk to hear the symphony of owls or watch the wandering deer at dusk. 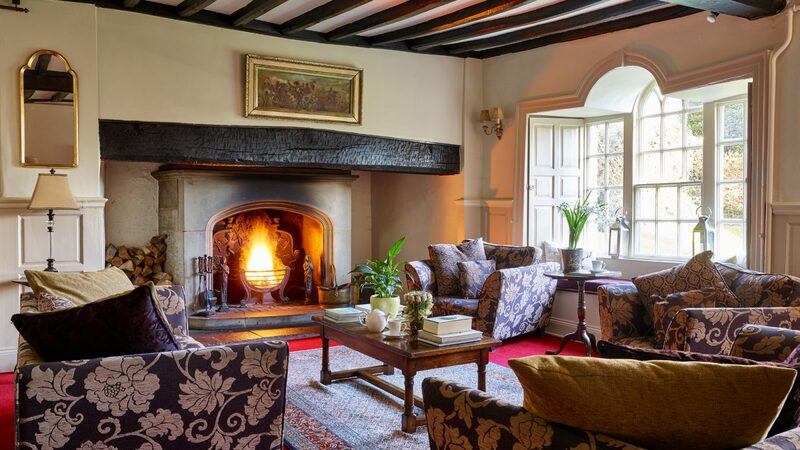 This is where you can get to know family and friends again, a grand 17th-century sprawl sleeping 18 in nine sumptuous bedrooms. 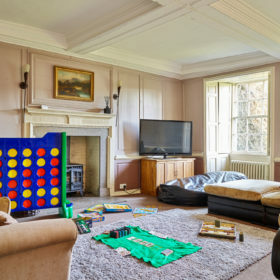 It’s a place to top up the open fires with chunky logs from the woodpile, call up the concierge for catered dinners in the oak-panelled dining room, then wander down to Windermere to watch the sunset. 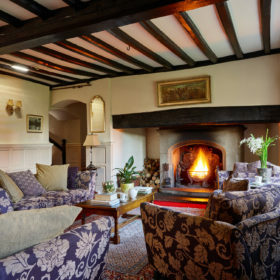 Pop to the Newby Bridge pubs for a nightcap, then return to rekindle the fire, wiggle your toes warm and pick a movie or play some games. Burrow down in the finest linen with only a hoot or two to intrude on your dreams. 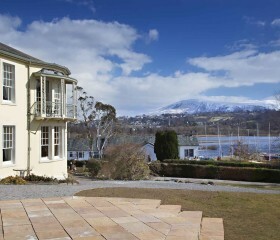 Wake to power showers, Cumberland sausage and another glorious day on Windermere’s western shore. 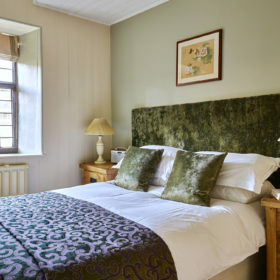 The four acres of gardens and native woodland here unfold before you in a luxuriant sweep. 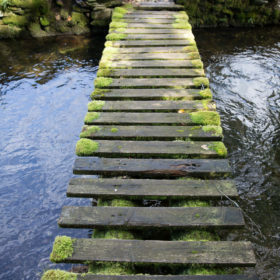 They demand you prepare a picnic and consume it by the pond that’s fed from the pure mountain tarns, or cross the stream by the bridge to wander the fenced woodlands dotted with singing birds and rutting stags. 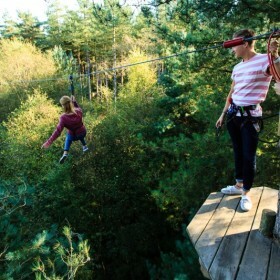 Grizedale Forest. 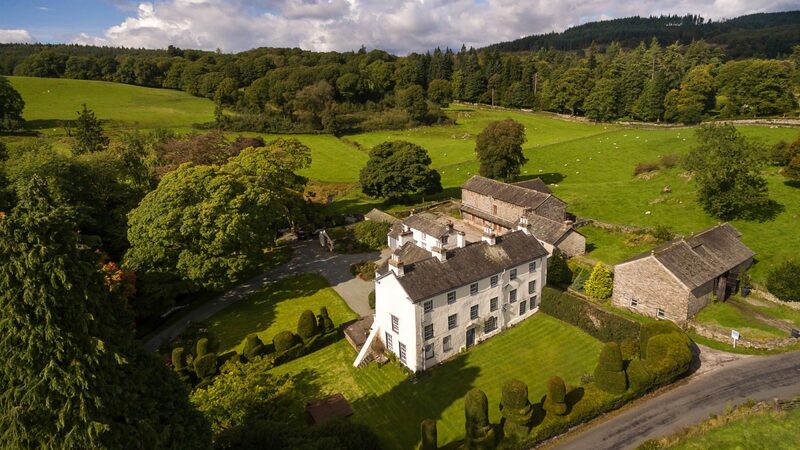 Read a book on the lawns by day, listen to the owls or watch the deer at dusk, enjoy the topiary trees that edge the lawns, watch the sun set over Windermere. Eat al-fresco on the patio area with garden furniture overlooking the lawns or invade the outdoor dining area ideal for lunch in summer. Lap it up. Life might never be this quiet again. Beyond the heavy gate and the gravelled drive that sweeps past the woodland, the front door clunks behind you. 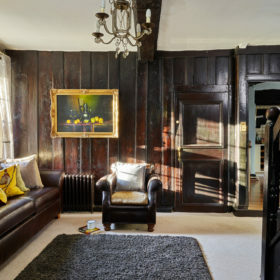 From the imposing hallway, the lounge sits ready with its soft sofas and antique furnishings. Load the fire with logs from the woodpile, kick off your shoes and wiggle your toes in your chunky socks. 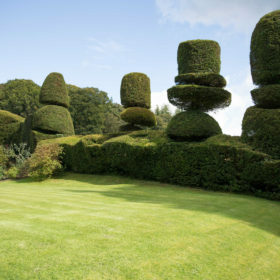 The view from the window takes in the rolling lawns and the topiary trees; a door leads out to the greenery. You could gaze forever, but it’s time to unwind together. 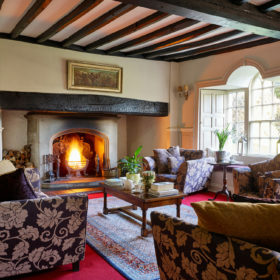 Wander through to the guest lounge for books and board games in front of the inglenook fireplace. Head out from the south-facing French windows to the patio. There’s a 50-inch TV in there for film nights or footie, and free wifi abounds for the Net and Netflix. 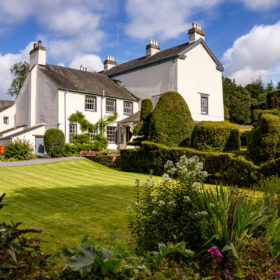 This is the 17th century country seat with tech that’s far from post-Elizabethan. Settle back and rekindle the fire as you reconnect with the people who matter the most. The dining room’s the place to cement your kinship. 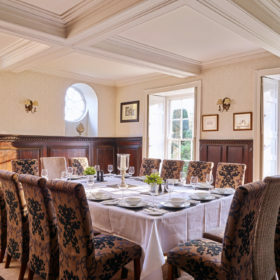 Surrounded by wood-panelled walls and intricate period detail, you’ll raise a glass to family, friendship, or both, as the crystal sparkles and the cutlery glints in the light that floods in from the floor-to-ceiling sash windows. 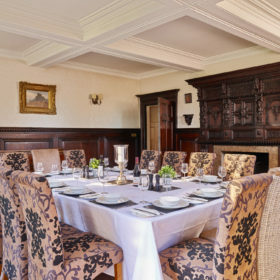 Ask the concierge about our in-house cooking, be it a one-off celebration or a fully catered break. Or you might fancy your own chances on the Rangemaster, with fresh fare from The Honeypot in Hawkshead piled high in the American fridge-freezer. Wash it down with a food-matched bottle or two from Windermere Wine Stores. But we wouldn’t blame you for taking it easy. So pop on down to the Mason’s Arms at Strawberry Bank for damson-and-pork sausage, local game or Cartmel lamb shank. 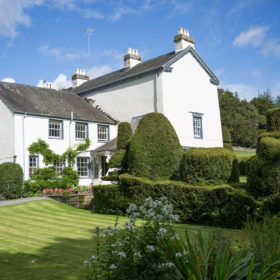 All with a side order of 15-mile views across a patchwork of fields to Scout Scar. Or try broth, bhajis or baked beetroot from The Queen’s Head. 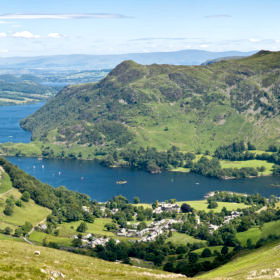 Head to the Drunken Duck in Barngates, set high above Ambleside, for beef cheek, corn-fed chicken or coley. 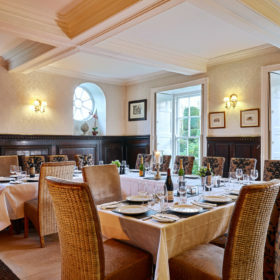 For posher nosh, it’s Lakeside Brasserie on the shore of Windermere, where candlelight, fresh flowers and fine wine accompany Graythwaite venison and mulled blackberries, or rare-breed steaks from a charcoal barbecue. 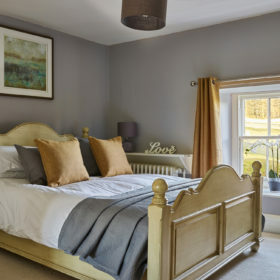 Dripping with period features, bedrooms here are premium quality. They come individually furnished with oak panels, window seats, deep-pile carpets and en-suite power showers that pummel you with hot water. 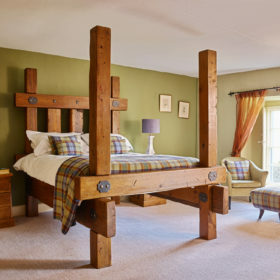 Antiques blend seamlessly with quirky, contemporary touches such as the four-poster made from reclaimed beams. To get there, just follow the crooked staircases to arrive at a world of ancient beams and powder closets repurposed as modern wardrobes. 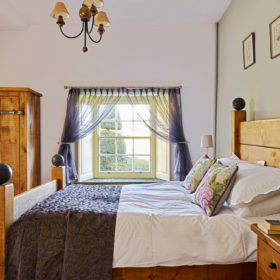 First up is Catbells, a spacious kingsize four-poster room with garden views, TV and quirky en-suite. 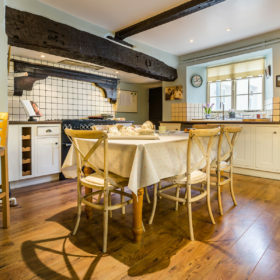 Grizedale is a delightful double with window seat and corner-bathed en-suite. 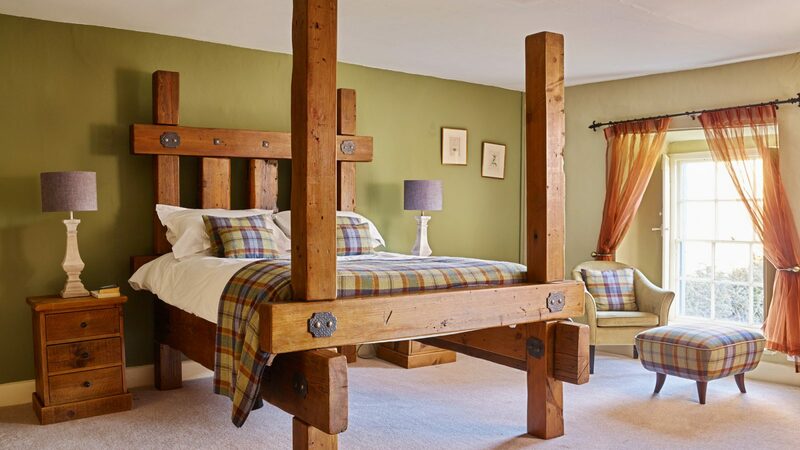 Tethera is a sumptuous superking with en-suite shower room and chillout lounge area, while Cunsey is also a superking that converts to twins beneath the beautiful oak beams. Warm your toes on the en-suite shower room’s underfloor heating. Esthwaite is a comfortable en-suite double with leaded windows. On the second floor, a further four bedrooms comprise two kingsize (one en-suite with shower and the other with feature bath), one double and one twin. 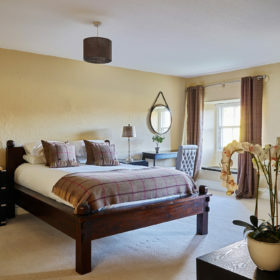 All offer majestic views: prise yourself from the finest cotton bedding and gaze from leaded windows to see the deer that graze on the rolling parklands. 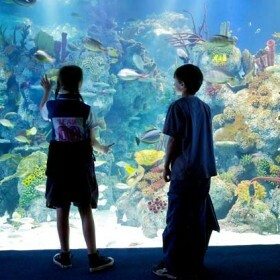 Kids can get up close and personal with fish, amphibians and reptiles at the Lakes Aquarium, trek the trees at Go Ape, or hire canoes at Low Wood. 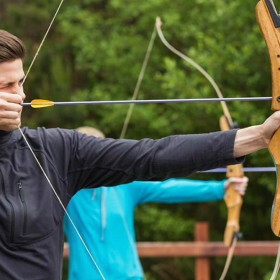 Grown-up kids can stay on site for archery, kayaking or clay-pigeon shooting, or venture out for ghyll-scrambling and gorge-walking, or just a little pampering at the Lakeside Hotel.